A modified smartphone with a new app can act as a ‘pocket optician’ to effectively test eyesight and even scan the eye for cataracts, researchers have found. I was told after an eye test that I had a hole in my macular. 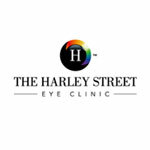 Return to full firearms duties following treatment at The Harley Street Eye Clinic .